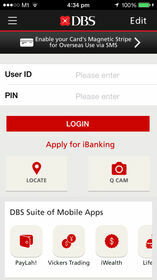 Simply login using your existing DBS iBanking User ID, PIN and DBS iB Secure Device. Do not have DBS iBanking? Please visit www.dbs.com/sg/personal/ibanking to apply. 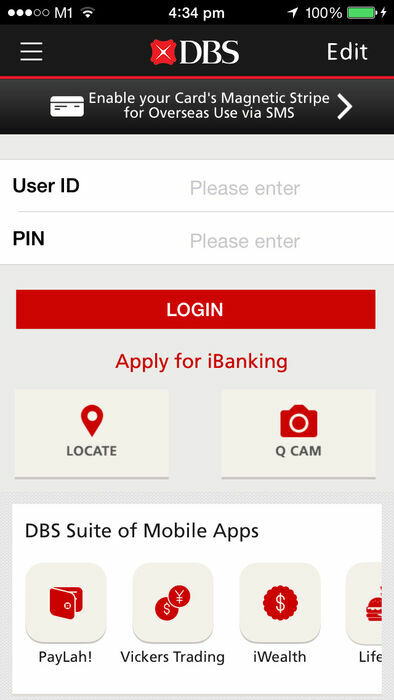 Note: DBS customers can also download the POSB mBanking application, which provides the same functionality and convenience as the DBS mBanking application. Please ensure you have at least 100MB of free space on your device to install the app.